Do you have kids who don’t like breakfast? 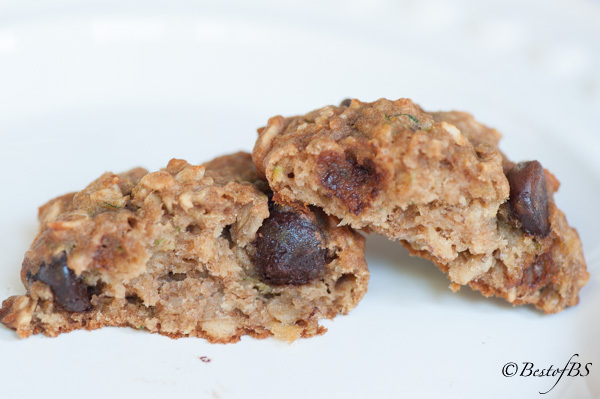 Do you want your grandkids to look forward to special treats in your kitchen that are actually somewhat healthy? Don’t have time for breakfast? 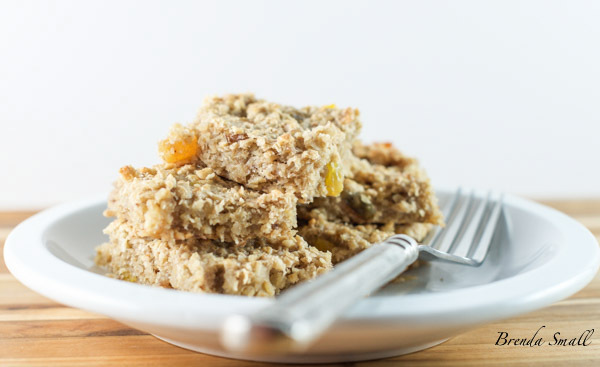 Well, Mimi’s Banana Breakfast Bars fit all of those bills! 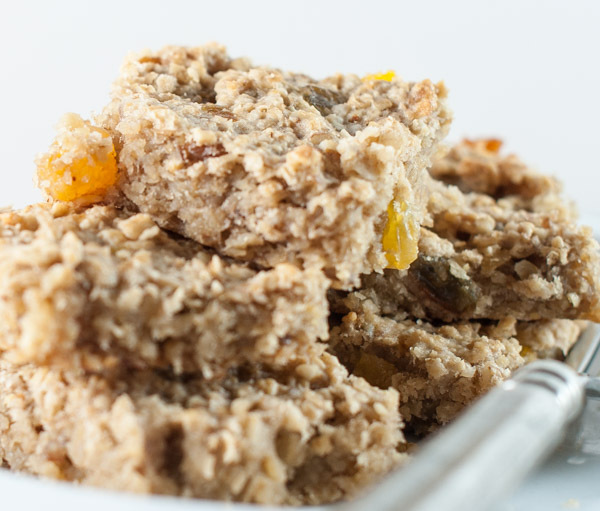 They are loaded with healthy goodness: quick-cooking oats, bananas, pecans, raisins and apricots. These bars are a snap to make and have been kid-tested for 2 generations. 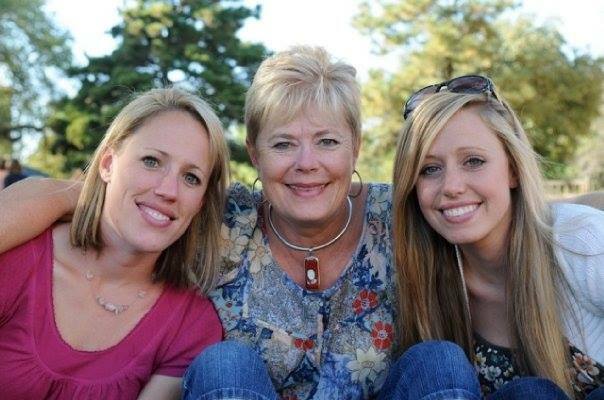 My daughters, Jennifer and Abby, loved these yummy bars when they were kids. They were regularly requested in my kitchen. Then, along came Jennifer’s twins, Braden and Caden. When Jennifer and Bennie would come to visit from Lubbock, Braden’s first stop was the cookie jar…and Mimi’s Banana Breakfast Bars better be there. This was way before he could talk; so he just used “the baby outstretched arm language”. 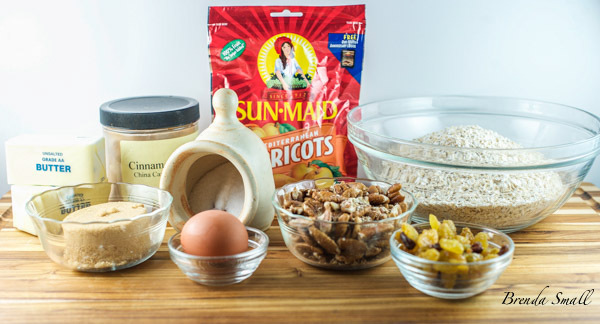 These are the ingredients that come together to produce these tasty, on-the-go breakfast bars. If anyone in your family has nut allergies or just really hates nuts, you can leave them out. You could add a bit more raisins or apricots. I do have kids in my family who don’t like nuts in other food; so I decided to try the disguise trick…Simply chop them so fine there is no evidence of them existing in the bars. It worked! These are the Quick Cooking Oats I like to use. 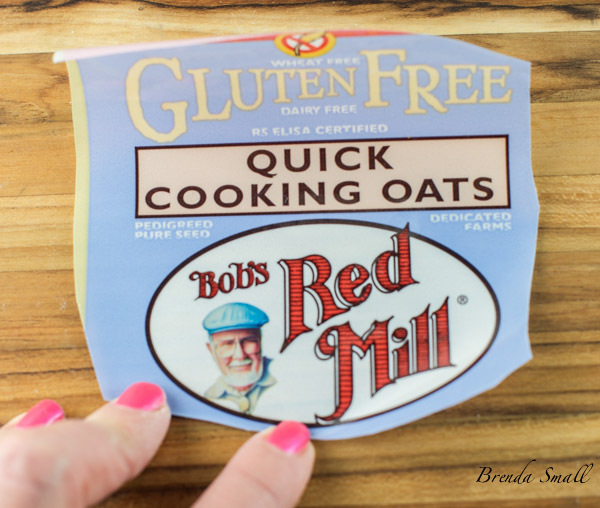 I also use several other Bob’s Red Mill products. This is what perfectly ripe cooking bananas look like. 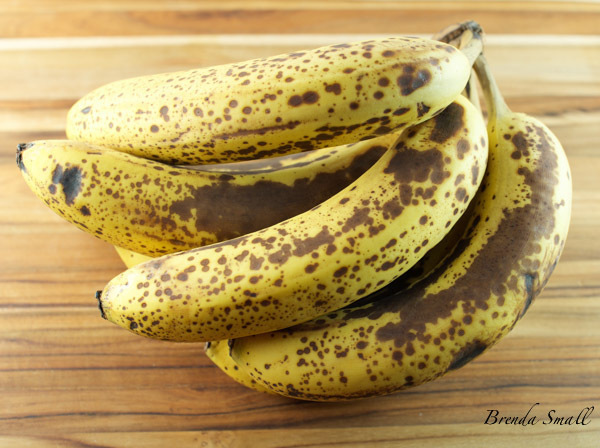 Most people would not want to snack on these bananas, but recipes love them just like this! This is the finished batter. It will be very thick and stiff. 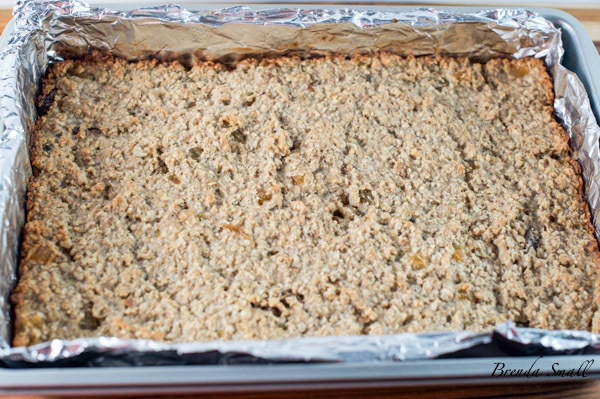 You will need to spread it evenly into the prepared baking pan. A large rubber spatula works well for spreading. This is what perfectly done Mimi’s Banana Breakfast Bars look like. They’re done when a toothpick inserted into the middle of the pan comes out with just a few moist crumbs clinging to it. The edges of the bars should just be starting to turn brown. Be sure to check the bars at about 30 minutes. Some ovens cook quicker than others. 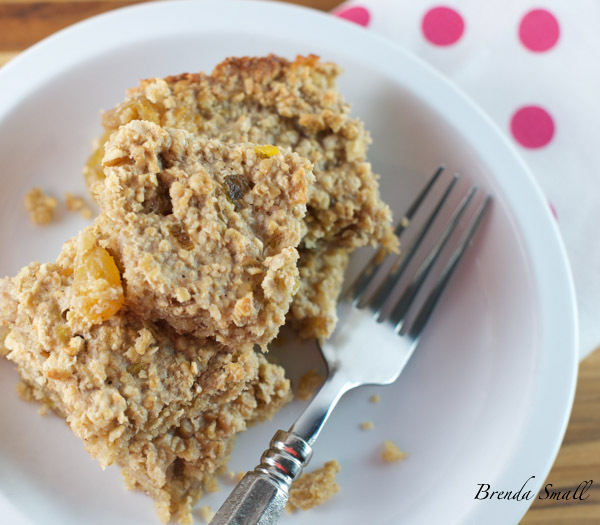 Enjoy these awesome treats for breakfast or as a snack any time of the day! Preheat the oven to 350F (325F if using a dark colored pan). In a large mixing bowl with an electric mixer, beat the softened butter and brown sugar until light and fluffy. Add the egg, beating until incorporated. Add the oats, bananas, salt and cinnamon and beat until well combined. 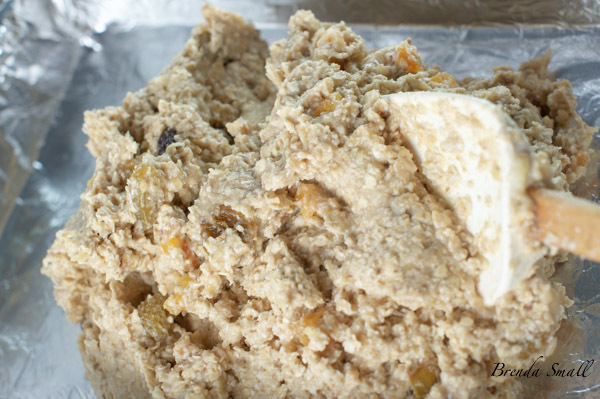 With a wooden spoon, stir in the pecans, raisins and apricots until blended. Spread the batter evenly in the prepared baking pan. This batter will be thick and stiff. Bake in the preheated oven about 40 minutes (less if baking with a dark colored pan). The bars are done when a toothpick inserted into the center of the pan comes out with just a few moist crumbs clinging to it and the edges of the bars are just starting to brown. Watch carefully and DO NOT OVER BAKE! Check at 30 minutes. If you have lined the pan with foil, lift the bars out by the overhangs and place on a wire rack to cool. If you have sprayed the pan with Pam, allow the bars to cool in the pan. Banana bars look delish. So impressed with your blog. Very professional! Thanks so much Debbie. Let me know what recipes you try. I have been looking for a healthy treat for Kinley and Kole. These look awesome!! Let me know how they turn out! Hope the kids enjoy them. They are not sweet like a dessert. I think they are perfect, but you may need to add more sugar. Try them and see.